Item # 309032 Stash Points: 5,595 (?) This is the number of points you get in The Zumiez Stash for purchasing this item. Stash points are redeemable for exclusive rewards only available to Zumiez Stash members. To redeem your points check out the rewards catalog on thestash.zumiez.com. 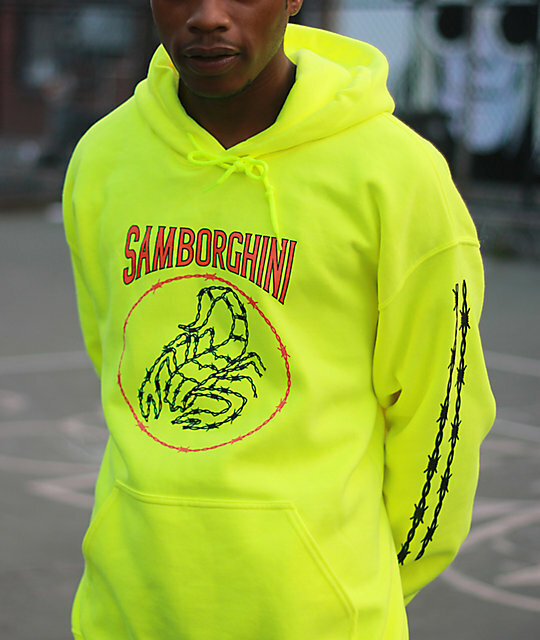 Get a loud new fit with the Samborghini Scorpion Green Hoodie. 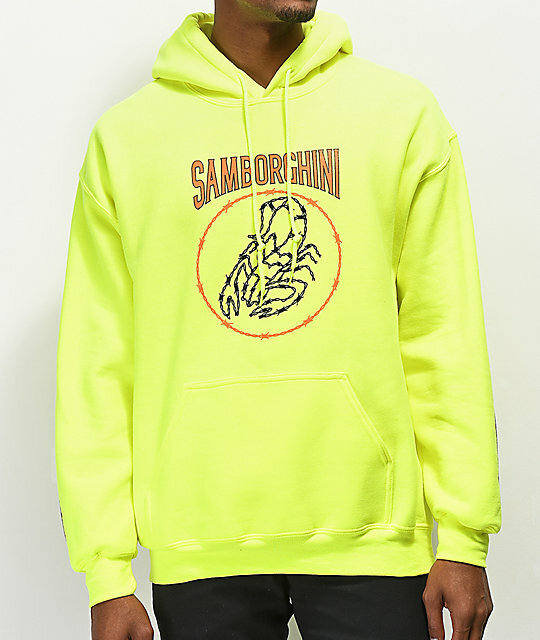 This highlighter green hoodie features the image of a scorpion made of barbed wire on the chest with accompanying orange text logo detailing. 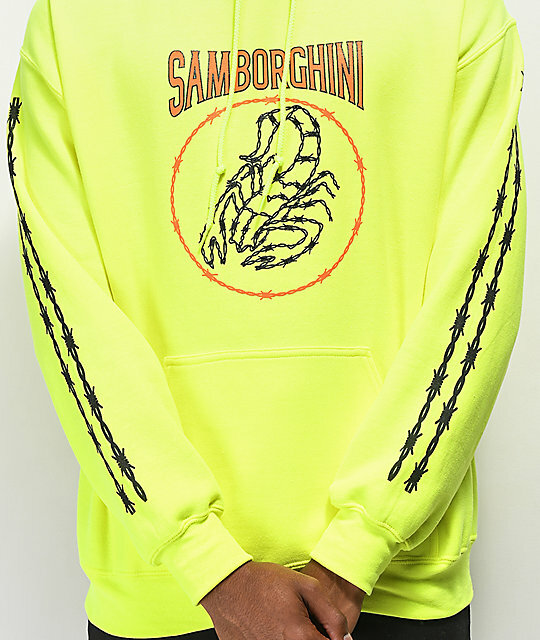 Relaxed fit and fleece lined on the interior, the Samborghini Scorpion Green Hoodie may just be your new favorite hoodie. 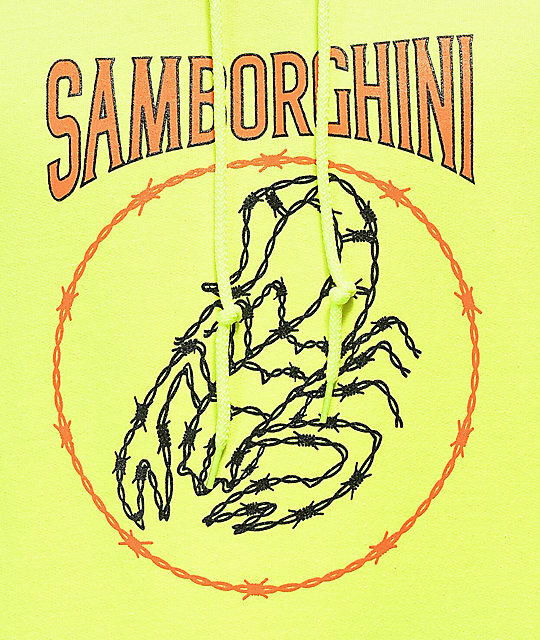 Scorpion Green Hoodie from Samborghini. 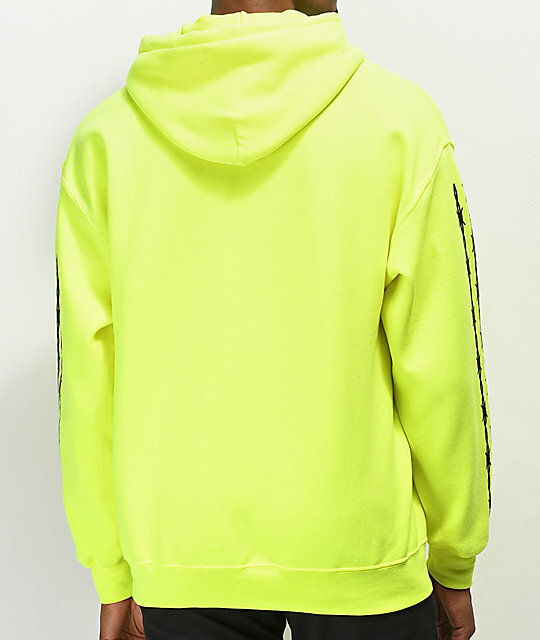 Embroidered logo script on front.